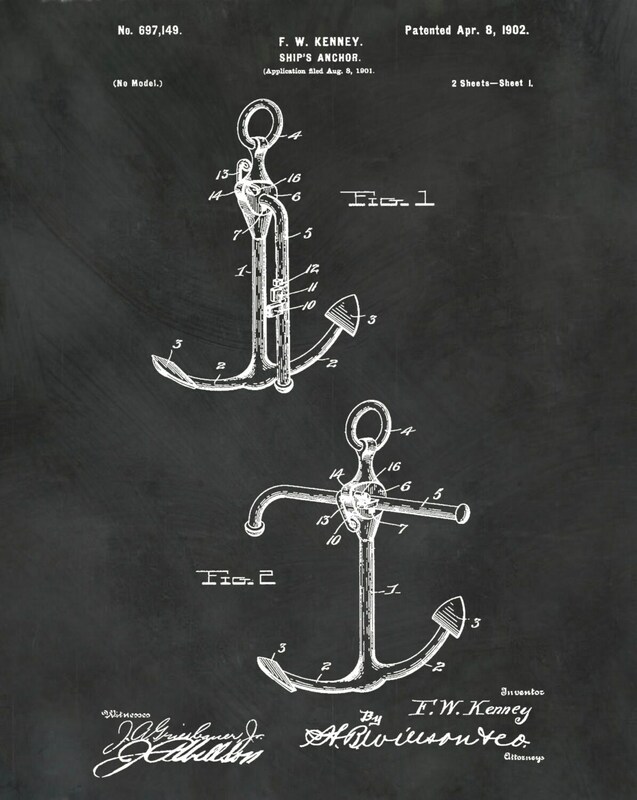 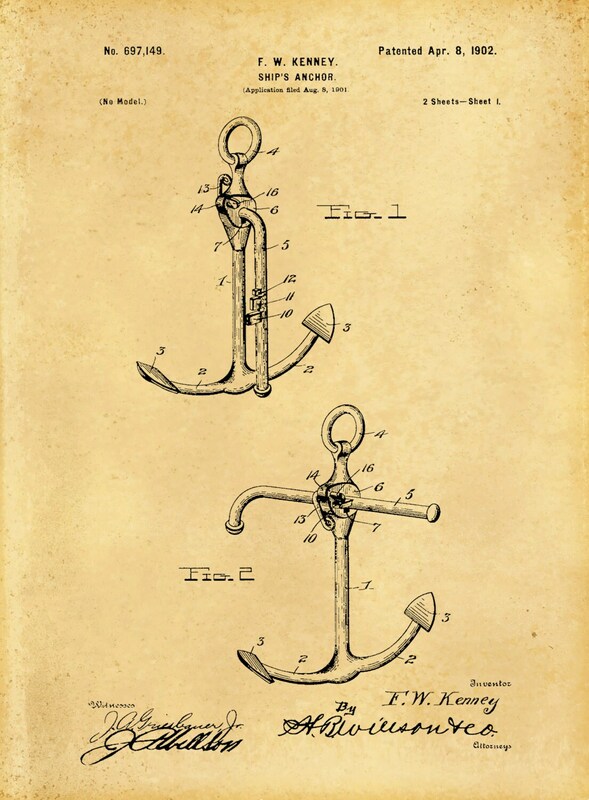 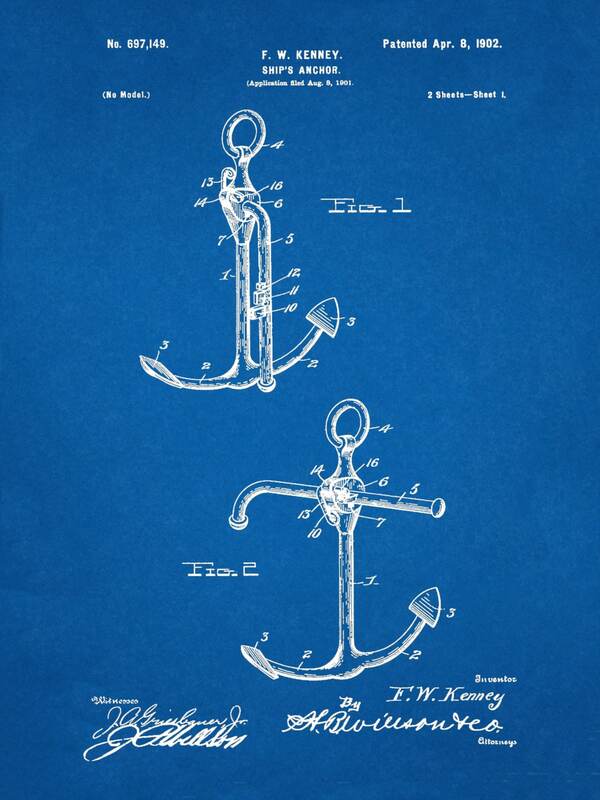 1902 Ship's Anchor Patent invented by Francis Kenney of Providence, RI. 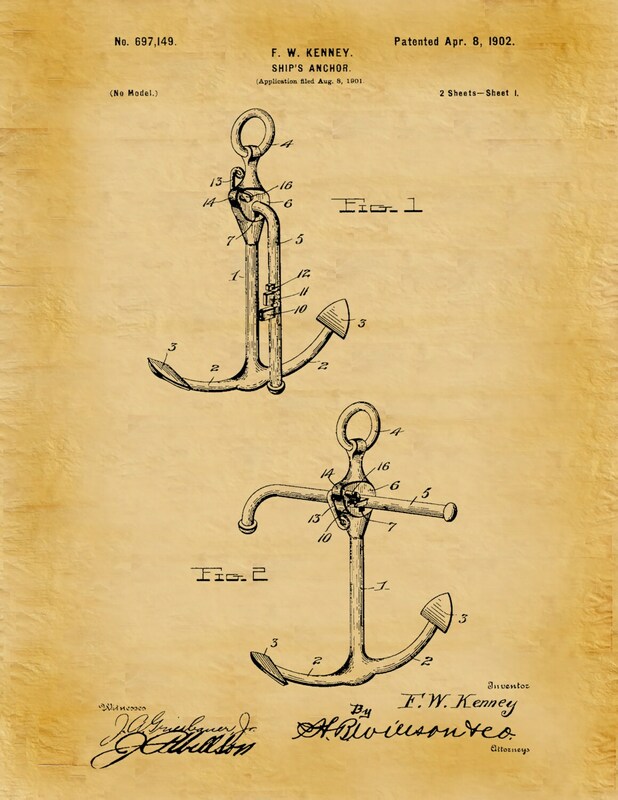 The patent was issued by the United States Patent Office on April 8, 1902. 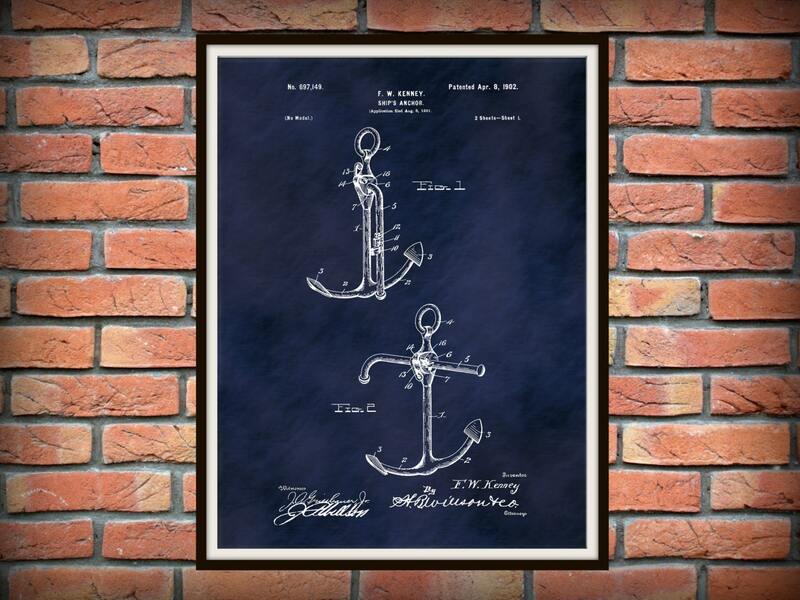 Great print, just as described.